A high quality smart and handy nylon case for handheld transceivers: strong and rough against rips and rubbings. Fast lock / unlock. 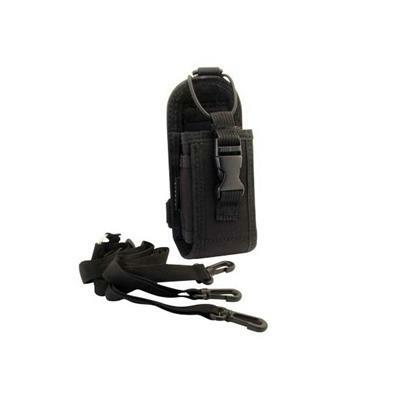 Up to 71 cm for each shoulder strap: this case can be worn even with bulky jackets. Elastic and adjustable fastening let this case be adaptable for almost every brand and model on the market. Belt loop on the rear side.